The contrasting fates of two properties associated with Sir Francis Drake…. Crowndale Farm, Tavistock, Devon, birthplace in 1540 of Sir Francis Drake. The recent concern https://www.metro.news/sir-francis-drakes-birthplace-at-risk-of-being-lost-forever/1243118/ gradual disintegration of Sir Francis Drake’s birthplace, the Grade II listed Crowndale Farm, in Tavistock, Devon, where he came into the world in 1540. It is unbelievable that such neglect has been allowed to take place. What is the point of listing a property, and then not providing the owner with the funds to restore/protect it? Not all owners are rolling in money. And what is the point of listing something at all, if that’s the end of it? Listing would appear to = slow demise. Crowndale is not the only building associated with Sir Francis Drake, nor is the Gatcombe associated with the present Prince of Wales the only place of that name in Gloucestershire. There is another Gatcombe, a tiny place on the Forest of Dean side of the River Severn. Most people will have heard of the prince’s Gatcombe, but not this other one. “The ancient town of Lydney is situated a few miles north of ~Chepstow on the Forest of Dean side of the River Severn. It has a history that goes back many centuries. Iron Age tribes lived and worked here, as did the Romans, but as a port it grew maninly during the 18th and 19th centuries. “One of the main cargoes that went through the harbour was coal from the pits in the Forest of Dean, although large quantities of timber and iron ore also passed through the port and on across the Severn Sea. If you go to https://www.sungreen.co.uk/gatcombe/severn-fishermen.html, you will find a very old photograph of Severn fishermen (see below), and in between them the distant white rectangle of Drake’s house. Severn fishermen on “Waveridge Sands”. The Old Severn Bridge pub is on the left, the Purton ferry staging is on the water’s edge and between the two men with the Lave nets is Drake’s House. And if you go to https://www.rightmove.co.uk/property-for-sale/property-66396161.html you will see much more about the same house. Doubt is cast upon the connection with Sir Francie, but nevertheless, the legend is very strong, on both sides of the Severn. Drake’s House, Gatcombe, Lydney, Glos. I have drawn attention to this house on the Severn as a contrast to the fate that is being allowed to befall Crowndale Farm in Devon. Maybe the present appearance of Drake’s House isn’t to all tastes, not everyone likes pink, or wishes to live right next to a main railway line, but at least the house is still standing and still loved. Still there for future generations to appreciate. The same should be able to be said of Crowndale Farm! Just WHY did Buckingham think he could cross the flooded Severn….? On this date, St Luke’s Day, 18th October, in 1483, apparently egged on by that notorious Lancastrian plotter, John Morton, Bishop of Ely, Henry Stafford, 2nd Duke of Buckingham unfurled his banners in rebellion against his cousin, King Richard III. Morton was supposedly Buckingham’s prisoner, handed over to him by Richard for safe keeping. Safe keeping turned out to mean listening to Morton’s every seditious word and treating him as an honoured house guest. To make the king’s task all the more difficult, and to spread his resources thin, uprisings were already in progress elsewhere in England. Richard was therefore alert, and in swift action to secure his realm. The whys and wherefores of Buckingham’s revolt are not of consequence for this article, because one thing about his action that 18th October has always bothered me. He was well acquainted with the Severn. He had to cross it every time he went to and from England from his stronghold in Brecon, so he would know the hazard it presented. This would be especially so at times of spring tides, and of the widespread floods that barred his way on this occasion. After ten days of endless rain and stormy weather, the river had burst its banks to a huge extent. Buckingham’s decision to cross anyway was not just unwise, but suicidal. Even allowing for a bridge, the approaches to which were miraculously not submerged, crossing over with an army of men would take time, and every minute counted when he was taking on a commander as clever and experienced as Richard. Maybe Buckingham felt that he had no choice. He had committed himself to join the rebellion, and maybe he saw some great prize in store if it succeeded. Maybe the prize was Richard’s crown. Learning of Buckingham’s treachery, Richard called him “the most untrue creature living”, which is a measure of the hurt and incredulity he felt toward the second cousin upon whom he had showered rewards and position. Richard was no slouch when it came to military matters, and immediately ordered the destruction or blocking of all the bridges and river crossings that Buckingham might intend to use. Richard wanted the duke trapped on the Severn’s western bank, where he was being harassed from behind by the Welsh Vaughan family. The longer his forces could be held back, the less secure his position became. Richard knew that soon the dissatisfied Welshmen forced into Buckingham’s service would begin to desert. Buckingham had never treated them well, and they resented him. It is now generally agreed that Gloucester was Buckingham’s goal, because it provided the most direct route to London. But to cross there, over the long Westgate causeway that was raised over the channels of the Severn and the marshy island that lay between them, meant marching right through the city, for that was the only access and egress from the Welsh side. Did Buckingham have reason to think the gates would be flung open to him? The records suggest that choosing Gloucester was no last-minute decision, Buckingham had definitely intended all along to take that route, approaching through the Forest of Dean, so maybe he did have allies in the city. Or Morton did. It was to prove immaterial anyway, because the floods had turned the Severn into a sea. Buckingham and his army could not set foot on the causeway, let alone the city streets. The first crossing upstream of Gloucester was a ford just south of Tewkesbury at Lower Lode. Such a crossing would require very low river levels, which was most unlikely in October, around the equinox. In the middle of a hot, dry summer, perhaps. Otherwise, forget it. There was a ferry, of course…but imagine the time needed to convey a whole army, horses, weapons and all, even if the river were not in flood. With all that water, no ferryman would embark on such a hazardous exercise. The next bridge was at Upton on Severn, some way upstream, and had probably already been dealt with by Richard. The warning signs would have been there for Buckingham and Morton all the way from Brecon, beginning with the River Usk which flowed past the castle and town. If the Usk was in spate on its way to the Bristol Channel and estuary, so too would be the next river to cross, the Wye, and finally the Severn itself. In between the various streams in the Forest of Dean would no longer be sparkling, trickling, babbling little brooks, but mini-torrents crashing their way down the gradual slope toward the sea. The Severn still floods in prolonged bad weather, and is worse during the equinoxes. It sometimes floods in the summer too, as in July 2007. It is also subject all year around to a notorious wave, called a bore, that twice a day races in from the estuary and is confined and raised by the narrower channel of the river itself. Back then it could flow inland as far as Worcester. Now it is stopped at Maisemore weir, outside Gloucester. Some bores are small, some large, and in October are usually the latter. They swell any floods still more, and when the Severn bursts its banks, it spreads for miles. Buckingham, and his nemesis Morton, could not possibly have been in ignorance until the moment of actually seeing the floods. Didn’t they have any scouts? Any local guides? Couldn’t they use their eyes all the way from Brecon? At the very least they should have anticipated it something.. Once closer to the Severn, they probably couldn’t even locate the riverbank, which would be somewhere in the great expanse of fast-flowing, muddy water that was pierced here and there by trees and dwellings. Our inability to understand, only guess, Buckingham’s motives in rising against Richard, lead us to view him as an arrogant numbskull. Did he actually hate Richard with a vengeance? Had Morton, that unholy man of God, convinced him of his own birthright and invincibility? Blessed him in the name of the Lord? Promised the aid of the saints? Vowed he could part the Severn Sea with a brandish of his crozier? We may never know. All we know is that the duke and his army reached the Severn and couldn’t cross. His Welshmen deserted him, Morton melted away too, and Buckingham had to flee north, eventually to be captured hiding near Shrewsbury. Buckingham was taken prisoner to Salisbury, tried and beheaded, begging to the end for the chance to explain himself to Richard, who refused to receive him. Part of me wishes Richard had granted the request, because Buckingham’s explanation might have been interesting. Might? It would have been interesting. Illuminating, even. 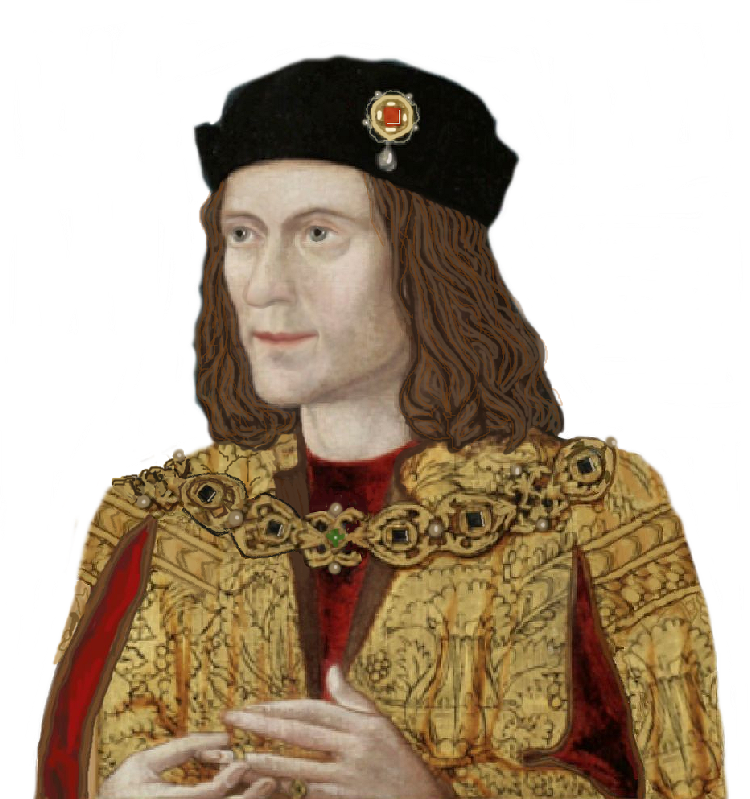 On the other hand, Buckingham’s son and heir later told that his father had a dagger hidden on his person, which he intended to plunge into Richard at the first opportunity. Should anyone wish for a more light-hearted approach to the saga of Buckingham, Morton and the Severn floods, in 2014 I wrote a spoof called Row, row, row your boat. I hope it amuses.